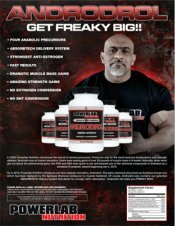 Anabolic Xtreme Carnobolic Get It Now! Pro Series. New Formula. Zero Beta-Alanine Side Effects. Freeze The Burn & Get Reps Out of No Where! Beta-Alanine Evolved & Perfected. Extinguish The Painful Acid-Burn Build Up! Crank Out Innumerable Repetitions! Experience Highly Evolved Recovery! 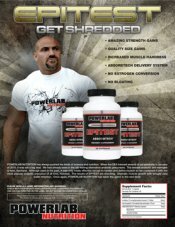 Achieve Peak Muscular Performance! For peak athletic performance, you need superior muscular endurance. Beta-alanine was great for that?kind of?minus the skin-tingling pins and needles and long loading time. 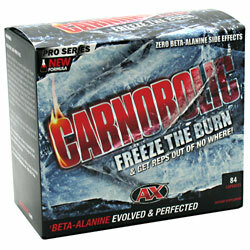 At Anabolic Xtreme we decided to crush the beta-alanine category with Carnobolic. 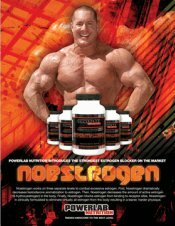 » the first and only carnosine product to deliver "First Workout" results. 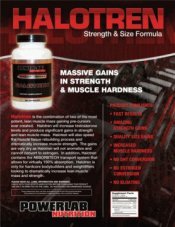 Carnobolic wraps protective Bio-Armored coating around carnosine itself giving your muscles exactly what they need - peak saturation of intramuscular carnosine levels without the tingles, without the loading and without beta-alanine. By aggressively soaking up the painfully acidic hydrogen ions that build up during training, you can delay the burn and continue cranking out the reps! 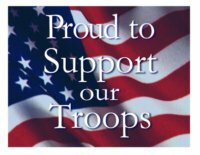 But we wanted to accomplish more! Carnobolic also elevates your muscles' most powerful biological energy source, ATP, and then supercharges neuro-muscular torquing power for peak muscular contractions. This amazing synergy delivers the awe-inspiring "Reps out of Nowhere" effect that everyone is talking about today! These statements have not been evaluated by the FDA. 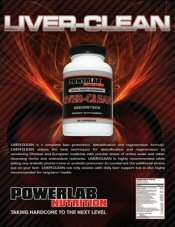 This product is not intended to diagnose, treat, core or prevent any disease. Ingredients: Carnabolic Proprietary Blend: L-Carnosine (b-Alanyl-l-histidine) protected by Bio-Armored Time Released and Absorption Technology, Disodium ATP (Adenosine-5'-Triphosphate, Disodium Salt), Sodium Carbonate (Anhydrous), Theobromine (Anhydrous). 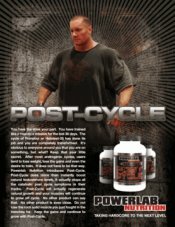 As a dietary supplement, on workout days take four (4) capsules preferably on an empty stomach 45 minutes pre-workout. On non-workout days, take two (2) capsules in the morning on an empty stomach, approximately 30 minutes prior to a meal. Do not exceed eight (8) capsules per day.